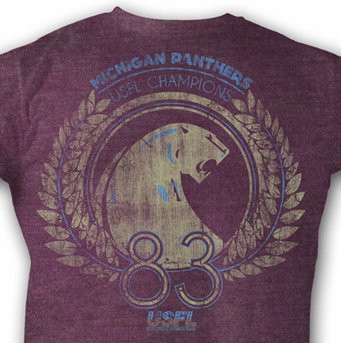 This USFL Michigan Panthers Purple T-shirt features a distressed image of the Michigan Panthers as USFL Champions in 1983. Our United States Football League T-shirt is a perfect adult t-shirt for any USFL fan. The USFL was a popular football league that was active from 1983-1987.